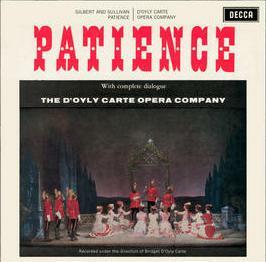 This recording was the last of five straight operas issued with complete dialogue in 1960–61. 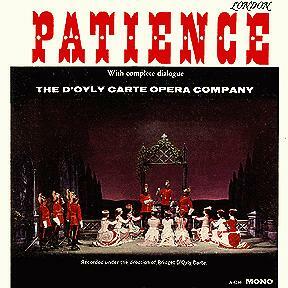 No new operas would receive dialogue recordings after that, except for Pirates (1968). A note on the Decca website says this recording was made at the Watford Town Hall, but Decca is sometimes slack about such details, and no other G&S recording is known to have been made there. This could well be an error for "Walthamstow Town Hall," where a number of recordings were made. Overall, this is probably the best recording of the opera, though other sets include bonus tracks that some buyers may find compelling. See also the discussion of the 1965 broadcast, which included several of the same singers. LKA 4414/5 The catalog numbers containing 'A' are Australian pressings.